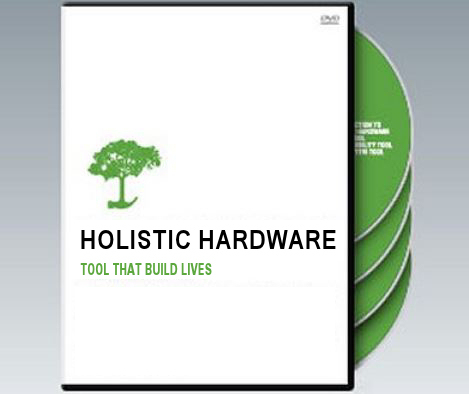 Holistic Hardware Is A Comprehensive Program For Personal Change. The tools of Holistic Hardware are designed for counselors, ministers, social workers, mentors, helping professionals, and volunteers who want to help people in crisis to help themselves. The materials are packaged as a full “set of tools” for flexible teaching approaches, and they can be adapted to individual needs and educational levels. Using time-tested principles, Biblical and real-life role models, dramatic sketches, and inspirational testimonies, Holistic Hardware focuses on the ten key tools that people need to achieve personal progress. The Holistic Hardware Program centers on what Joe Holland, a Harvard-educated lawyer and ordained minister, calls “the ten tools of effective compassion” – responsibility, vision, self-esteem, faith, love, discipline, association, planning, work, and wealth. This program challenges the mind as well as the emotions and will. Though tough-minded, the approach is also tender-hearted. Through his program, Joe Holland communicates a passionate desire to see people reach their highest aims and deepest dreams in life. Available in its present format for only six months, Holistic Hardware is already being used by forty programs in fifteen states. Provides a four-step approach that enhances one’s ability to respond effectively in the midst of personal crisis. If you give a man a fish, he’ll eat for a day. If you teach him how to fish, he’ll eat for a lifetime. Inspires individuals to pursue their dreams and motivates them to surmount life’s toughest challenges. Hold fast to dreams, For without them, life is a broken-winged bird that cannot fly. Seeks to identify inner barriers and changes self-image from negative to positive through a five-step regimen. Builds the patience and fortitude for the individual to make it through the long and winding road of personal progress. Directs a five-step approach for adding balance to life with the objective of achieving and sustaining self-sufficiency. And the second is like it: Love your neighbor as yourself. All the law and the prophets hang on these two commandments. Prepares the individual to endure the seasons of sacrifice and self-denial that personal progress entails. Imparts a strategy for handling the different people in one’s life, either breaking off or limiting negative or dubious relationships, and cultivating positive ones. Blessed is the man who does not walk in the counsel of the wicked or stand in the way of sinners or sit in the seat of mockers. But his delight is in the law of the Lord, and on His law he meditates day and night. He is like a tree planted by the streams of water, which yields its fruit in season and whose leaf does not wither. Whatever he does prospers. Lays out a three-step approach from past, present and future perspectives for effective time management. Demonstrates the dynamic connection between character and skills development in getting work and succeeding at it. Let us, then, be up and doing, with a heart for any fate. Still achieving, still pursuing. Learn to labor and to wait. Teaches not only how to manage money effectively, but also how to maximize one’s natural resources in attaining economic self-sufficiency. Give careful thought to your ways. You have planted much, but have harvested little. You eat, but never have enough. You drink, but never have your fill. You put on clothes, but are not warm. You earn wages, only to put them in a purse with holes in it.